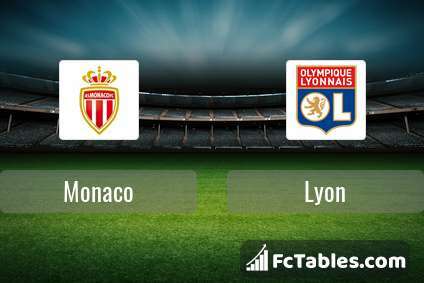 Kick off Monaco-Lyon in Ligue 1 on today 20:00. Referee in the match will be Benoit Millot. Team Monaco currently is on lower place in table (17 position). Monaco in 5 last matches (league + cup) have collected7 points. from 3 matches team have not been defeated. The best players Monaco in Ligue 1, who scored the most goals for the club: Radamel Falcao 9 goals, Youri Tielemans 5 goals, Gelson 2 goals. Players with the most assists: Radamel Falcao 1 assists, Youri Tielemans 1 assists, Gelson 1 assists. 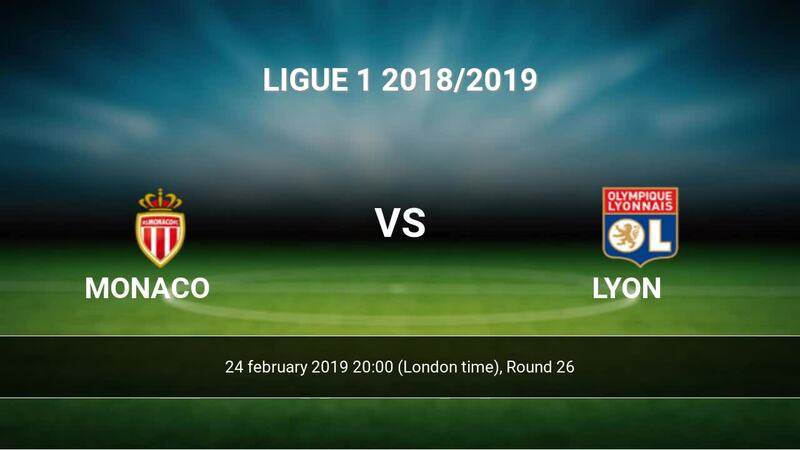 Injured players Monaco: Kevin N'Doram, Stevan Jovetic, William Vainqueur, Jordi Mboula, Pietro Pellegri. Jemerson. They will not be able to play in the game due to suspension. Team Lyon is at the top place in the table (3 place). In 5 last matches (league + cup) team gain 12 points. Players Lyon in Ligue 1 with the highest number of goals: Nabil Fekir 8 goals, Moussa Dembele 7 goals, Houssem Aouar 6 goals. Most assists in the club have: Nabil Fekir 3 assists, Moussa Dembele 2 assists, Houssem Aouar 2 assists. Injuries in the team Lyon: Rafael, Amine Gouiri. Direct matches: usually ended with winning of Lyon. 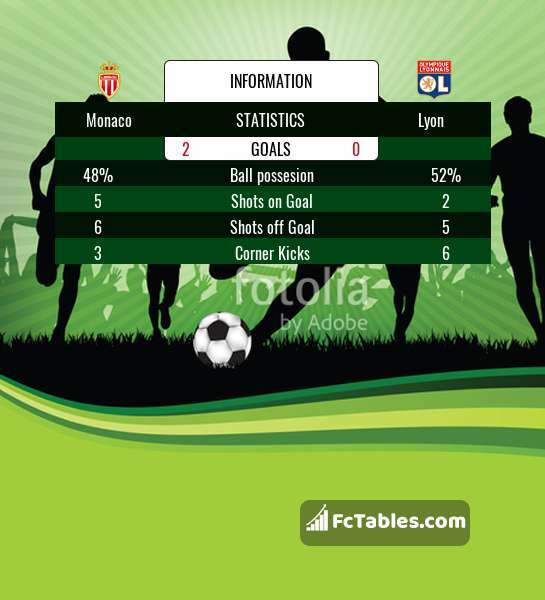 Balace of both teams games are: 14 won Monaco, 17 wins Lyon, 9 draws. In 25 matches the sum of the goals both teams was greater than 2.5 (Over 2.5). On the other hand, 32 matches teams scored more than 1.5 goals (Over 1.5). In 25 matches the both teams have shot at least one goal.